170-Pages! "Insightful and venomously cynical political cartoons . . . Rall straddles stereotypes, avoids party lines like live wires. . . . A true freethinker." --Las Vegas Mercury There simply isn't a more polarizing, more controversial, or more widely read political and social cartoonist than Ted Rall. 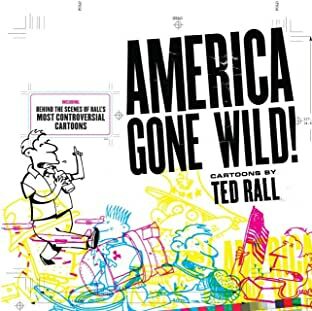 Matt Groening: "Ted Rall makes me laugh out loud." Rush Limbaugh: "What is sad is that such an ignoramus ends up as a prominent cartoonist in major newspapers." Janet Clayton, L.A. Times editorial page editor: "He's wonderfully incisive. He has a way of looking at the world that is rarely articulated in editorial cartoons." Bernard Goldberg, author of 100 People Who Are Screwing Up America: "There is loathsome and there is beneath loathsome. And then there's Ted Rall." Love him or hate him, Rall has a unique drawing style and makes caustic social commentary that sets him apart from the pack. 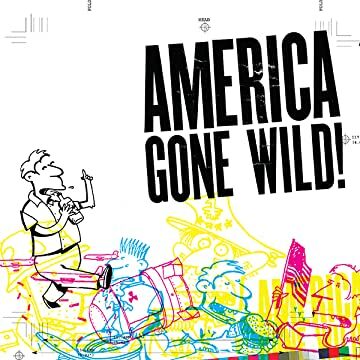 America Gone Wild features Rall's most controversial cartoons assembled for the first time in a single collection. Rall views his strips as a vehicle for driving social change. He applies his outrageous sense of humor to volatile topics from 9/11 and the Iraq war to social issues such as unemployment, the environment, and religion. This collection comprises his edgiest material and features lengthy behind-the-scenes commentary from Rall.